Everyone in the world knows who Steve Jobs was, but there are some things which are not so well-known about him. Here they are, read carefully. His real parents were Abdulfattah Jandali and Joanne Schieble. They were 23 years old back then and thought to be too young to marry and raise a child, so they gave their son for adoption. 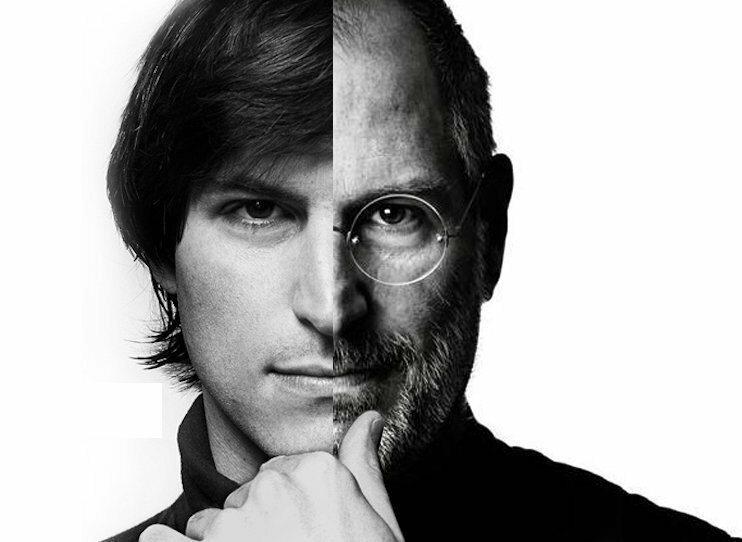 Biologically, Jobs was half Arab, since his father was from Syria and his mother was American. They had only one condition for the adoption and that was that his new parents were college-educated people. Even so, Steve was adopted by Clara and Paul Jobs who were not college-educated but they promised that Steve himself would get a college degree. He gave up on his college studies but continued his informal education because he liked it. One class Jobs audited was a calligraphy course, which he liked very much. He said this instructed him into paying more attention to typography and font within Apple’s products. He often struggled to get by. There were times when he even slept on his friends’ dorm room floors, was returning Coke bottles for money, and had free meals from the local Hare Krishna temple. He was a pescatarian which means that he ate no meat except for fish. Jobs was traveling around India for seven months while experimenting with psychedelic drugs. He considered this period of his life to have been ‘one of the two or three most important things I have done in my life’. While on his trip through India, Jobs met a Hindu holy man and was married to Laurene Powell in a Zen ceremony. When they first created the Breakout game for Atari, they had to split the profit 50:50. Jobs took $5,000 from Atari but told Wozniak they got only $700 and gave him his 50% of that, which was $350. Jobs took home the other $4,650. There were many complaints about his hygiene while he was working at Atari. He was moved to the night shift because he rarely showered and walked barefoot in their offices. Jobs was fired from his own company (because of the disagreement with the company’s CEO) which enabled him to experiment creatively. He purchased an animation studio, which is known today as Pixar. Jobs was returned to Apple as CEO in 1997 when the company was a real mess. Lisa Brennan (today her name is Lisa Brennan-Jobs) was a child who was born when Jobs was 23 years of age (remember that his parents got him when they were 23). He denied her paternity for years claiming he was sterile, but still named a new Apple computer the Apple Lisa. Jobs actually claimed that this was short for Local Integrated Software Architecture (LISA), but what a coincidence! The movie is based on a book written by Jobs’s biological sister, Mona Simpson. They first met as two adult people and became very close. He cut the Apple’s philanthropic programs, claiming they would return it when the company became more profitable. Still not profitable enough? The charitable programs were never returned. He was considered to have been an egomaniac. His workers and colleagues claimed he was difficult and demanding. He was even on Fortune‘s list of America’s Toughest Bosses. He was constantly driving his silver Mercedes without the license plates. Well, not the same Mercedes, but the same model! He was buying a new one every six months and that is why he didn’t have to put any plates on it. Instead of undertaking an immediate operation, Jobs turned to an alternative medicine which included a vegan diet, acupuncture, and herbal remedies. After nine months, he decided to be taken to a surgery, but that was too late for its success. Jobs didn’t want his children to experience the harmful effects of the internet and generally the technology. He used to limit their exposure to these things saying that he knew what the technology could do to a human mind. When with his children, he used to talk about books, discussed history, and all kinds of other life subjects, so none of them ever wanted to check their iPhone or iPad during this family time.